Wondering which Kindle e-Reader is best for you? 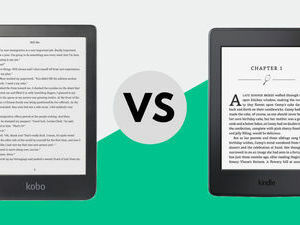 This Kindle comparison guide will help you decide. From basic options that can put an entire library of books in your pocket to large, full-colour tablets with all the features of your typical smartphone, Amazon's Kindle line up has something for everyone. But with so many models , where do you start? In this guide, we'll outline the various options available and compare Kindles and Fire tablets to ensure you find the perfect option for your needs. We'll also make a few suggestions based on common uses, scenarios, and budgets. Designed specifically for reading books, Amazon's Kindle e-readers all offer a portable, easy to use option for keeping your favourite book around without all the hassle of actually toting a book around. Better still, if you run out of reading material, you can simply hit the Amazon store on your Kindle to find your next page-turner. But you won't find the bounty of apps available, a camera, or even the speakers you'll find on an Amazon Kindle Fire tablet. It's made purely for reading. NOTE: Amazon recently announced a new Kindle Paperwhite model. It's available for pre-order and scheduled for release on November 7th, 2018. We'll update our recommendations and device specifications the moment reviews are out. Each has a slightly different format and as you go down the list the size of the screen -- and the price -- increases. The base Kindle is as bare bones as an e-reader gets. A sharp e-ink display, a durable shell, room for thousands of books, and a long lasting battery. While it's super affordable, it lacks many of the conveniences of modern e-readers -- such as built-in lighting. For many, we think the Paperwhite is the best Kindle to buy. It has a sharp screen, plenty of storage, and a strong back light. Of course, like all the other models, it also offers easy access to the trove of books and services available on the Amazon.co.uk Book Store . For nearly twice that price, you can pick up the Voyage and keep the same display, but add an adaptive back light to change colour temperatures and avoid blue light at night along with and some physical buttons for flipping pages. But unless those are essential for you, the lower-end model is likely a better value. At the top, you'll find the Oasis . It's waterproof, includes more storage, has a larger screen, and includes the fancier lighting of the Kindle Voyage. It's also nearly four times the price of the Paperwhite. So...if you're looking for maximum bang for your buck, the Oasis probably isn't the best pick. It's the luxury e-reader -- and has the price point to match. Amazon also offers enhanced 3G WhisperSync for an additional upfront fee. Available on every model except for the base Kindle, the 3G service is available without monthly charges or annual fees. You can use it to browse the Amazon store or download e-books from Amazon in more than 100 countries across the globe. It's also great for keeping track of where you left off with a book when switching between other Amazon e-readers or from your Kindle to the Kindle App on a mobile phone or computer. While there's technically an experimental web browser available as well, it can be a finicky beast. So don't plan to use it to get work done or browse your favourite sites over the free 3G. For an in-depth look at each model, check our Kindle review summaries . If you're looking for something with features closer to your smartphone or the ever-popular iPad series , the Kindle Fire line of tablets is likely a better pick. The Kindle Fire 7 is available at a nearly-disposable price point. Unfortunately, with that comes a few quirks. Mainly it's a bit slow to load apps and is less than ideal for any sort of heavy gaming. With just 8GB of storage, you'll likely want to pick up a microSD card as well. We think that upgrading to the Kindle Fire HD 8 is well worth the cost. Its larger screen makes gaming and watching videos a much more enjoyable experience while the dual speakers and Dolby Atmos can really crank out compelling sound for movies and audiobooks. Thanks to an extra 512MB of RAM, much of the sluggishness of the previous model disappears as well. The Kindle Fire HD 10 boosts everything about the HD 8 to the next level. A bit more RAM, larger screen, 1080p resolution, faster processing, and more storage space. It definitely offers the best experience, but at the highest price in the lineup. For an in-depth look at the different models available, check out our Kindle Fire review summaries . 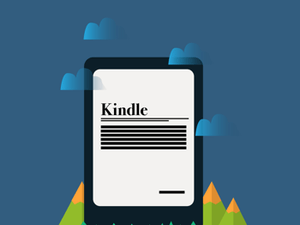 Now that you know what the options are and how to get them, you need to figure out which type of Kindle fits your needs best. There are a few things to consider when comparing Amazon's e-readers and tablets. Designed for reading, the Paperwhite and other e-reader models use an e-Ink display. This technology virtually eliminates glare and provides an experience similar to reading on paper. But it's currently limited to black and white and cannot display video. Since the Kindle Fire series is also designed to play media, games, and apps, they use IPS displays -- much like those on many mobiles and tablets. This means they're harder to read in direct sunlight and might cause added eye strain during extended reading sessions. The software and processing requirements to flip through an e-book are drastically lower than apps, games, and video playback. This means that an e-reader will often have days of battery life. If you don't read often, you might find you only have to charge your e-reader every few weeks. In comparison, a tablet requires much more power -- both in terms of processing and lighting up an IPS display. So while standby mode might get you a week of life out a single charge, actually using your Kindle Fire will see the charge dip rather fast -- in a matter of a few hours. Amazon can't seem to decide if they want their Kindle e-readers to support audio or not. Throughout history, they've added and deleted speakers and headphone jacks multiple times across the various models. This means that if you're looking to listen to audio books or use text-to-speech, you'll want to look at the Kindle Fire series. While the Oasis includes Audible support in the US, the UK version does not. Even if it did, it's one of the most expensive options available across both line-ups -- nearly four times the price of the Kindle Fire HD 8! In the Kindle Fire series, we highly recommend one of their dual speaker models if you want to listen to audio without using headphones. While the single speaker on the Kindle Fire 7 is okay in a quiet environment, it cannot punch through the din of noisier settings. Plus, the Dolby Atmos support on the Fire HD 8 produces surprisingly crisp, spatial sound. 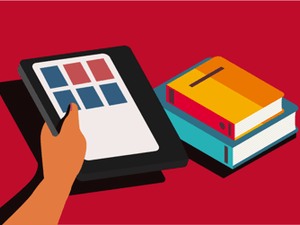 Picking the ideal option for your needs will depend on your budget, how you plan to use your new tablet or e-reader, and what types of books you plan to read. If you're not sure where to start, consider these picks. Combining an affordable price, one of the sharpest e-reader screens in production, and a respectable, even light, the Paperwhite is our recommended pick for anyone looking to enjoy their favourite novels with the bulk of printed books. It includes plenty of storage and a long-lasting battery to ensure you'll charge less often and never run out of reading options. Even with reading a few hours a day, as long as you keep the light levels managed, you'll last a week or two on a charge with ease. For technical PDFs, comics, or other layout-heavy media, we'd recommend upgrading, but for general use, the Paperwhite is a compelling choice. The Paperwhite strikes the perfect balance for most. The backlight makes it easy to read in all conditions while the affordable price makes it an easy purchase -- even if you're on the fence about e-readers. When it comes to a basic tablet, Amazon ticks all the boxes with Fire 7. Its bright colourful screen is great for apps and light reading sessions. If you're looking to read illustrated children's books, the screen offers a more engaging experience than the Kindle e-reader series as well. The tablet is far from perfect -- and certainly no iPad -- but then it is priced significantly below the powerhouse flagships as well. Heavy use -- such as video stream or apps -- will have you searching for a power source quickly. But if you use it as an e-reader, the battery holds up well. Don't expect the camera's to wow you, but for quick snapshots or video calls, they work well enough. In all, the price is the strongest selling point of the Fire 7. There's simply nothing else of this quality in its price range. While it won't be as easy on the eyes if you're looking for a device strictly for reading, it's less than half the price of the Kindle Paperwhite. Choosing the Fire HD 10 is about more than the screen -- though the added 3.1-inches and boost to 1080p certainly doesn't hurt. The entire tablet sees an upgrade to specs and feels faster than the two cheaper options. The materials are also slightly more refined, providing a reassuring bit of heft in the hand. If you plan to use a range of apps, opting for the larger storage model is a good investment. However, microSD card support makes it easy to expand storage later if you wish. Finally, the dual speakers and Dolby Atmos sound produce respectable audio if you're not looking to use headphones while watching movies or shows. It is not the loudest pair of speakers you'll run across. But the sound that is produced is clear and the Dolby Atmos does a compelling job of making the sound fill the space around you. While it's far from an iPad, the Kindle Fire HD 10 is a great choice for those looking for an everyday use option or for those all-day Netflix binges. The Oasis (2017) is the flagship of the Kindle series -- and priced accordingly. While the performance is similar to the Paperwhite, the presentation is where you're paying more. This is the first Kindle to see a screen increase in years. While it's only one inch, the 7-inch display means less page flips and a more immersive reading experience. There's also 3 times the amount of lights as the Paperwhite, so you'll see a more even lighting across the screen. For those with less than perfect vision, this means you can increase font sizes without having to flip pages every sentence as well. Finally, with up to 32GB of storage, the Oasis is better suited to storing larger files, such as PDFs or visual novels and comics. And the software does a good job of making complex visuals easier to read while maintaining the overall layout. The biggest downside is the price. While it's by far the best Kindle as far as presentation and features. It comes at nearly 3 times that of the Kindle Paperwhite. But in exchange, you'll get an experience you can't find elsewhere in the Kindle line-up. While it costs more than most e-readers, the Kindle Oasis offers an all-metal, premium experience you won't find anywhere else -- though we wish they offered Audible support on the international version. If you've never used an e-reader or a tablet, you probably have a few questions -- or at least expectations -- of how things work and which Kindle to buy. We'll cover a few of the most common questions here. Why choose an e-reader over a tablet? It might seem odd that Amazon's e-Readers cost more than tablets. But it mostly comes down to costs to build the devices. But e-readers, such as the Kindle Paperwhite, offer a drastically different reading experience than their tablets, such as the Fire HD 8. The e-Ink screens offer a more "book-like" experience. The lighting also goes across the screen instead of coming from behind like a tablet. The overall effect is less eyestrain during extended reading. There's also battery life. Even the Oasis with its larger screen and smaller battery can easily reach a week between charging with a couple hours of reading a day. Tablets, even if just used for reading, simply don't keep up with that. Then there's the distractions of app notifications, the added weight of the tablet, and the glossy screen being hard to read in bright sunlight. Can I Share my Kindle or Fire with Other People? Yes and no. The Kindle e-readers have less options when it comes to multiple accounts. There's basic features there, and parental controls for kids accounts, but the software is completely different. So it's not quite the same. On Fire tablets, you can set up individual profiles, complete with their own selection of apps, games, and other services. But on both, if you want to share content, you'll need to do it through your Amazon account. Even then, you're limited to two adults, and some kid accounts. So sharing with friends and extended family isn't exactly feasible. Also, in the US, you can share Kindle books you purchase with others for two weeks at a time. Sadly, this feature is US-only at the time of writing. Can I buy books to read on my Kindle or Fire from other stores besides Amazon? Yes... but it isn't as straight-forward as purchasing books on the Amazon Store. We won't dive into the gritty details, but essentially Kindles support a wide range of e-book and document formats. The official list of supported file types includes AZW, MOBI, PDF, PRC, and TXT files. You can also convert a number of file types, including JPEG, GIF, PNG, BMP, DOC/DOCX, and HTML by emailing files to your Kindle using a special Amazon email address or using the Desktop app. 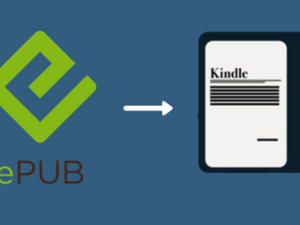 Unofficially, there's also a number of third-party programs for managing e-books and converting them for use on the Kindle. One of the most popular options is Calibre . Of course, expanding the types of documents and files you can open on the Fire line of tablets is a bit easier, as you can just download apps. If you're looking for an alternative reading app from the Amazon Kindle default, we recommend Moon+ Reader . Between the official and unofficial options available, there are few files you can't open and read or view on Amazon's Kindle or Fire devices. Can I give a Kindle or Fire as a gift? Yes. Doing so is as simple as checking the "This is a gift" box when adding the device to your cart on Amazon. We also have a guide for more details on where and how to buy Kindles and the gifting options available in the UK. Are there parental controls on the Kindle or Fire? This is one area where Amazon excels. From screen time limits and locking content by rating to putting a password on the store or requiring the kids to read before they can play games, Amazon's parental controls are comprehensive and flexible. While their age recommendations might be a bit off based on the particular preferences of your kid and your parenting approach, the set of controls on offer provides tools to help guide your kids toward smart usage of their Kindle or Fire device. Amazon's Kindle e-readers and Fire Tablets are popular options due to their affordable pricing and durable build quality. But the features and experience vary greatly between both lines. If you're looking for a device primarily for reading, the e-readers offer a reading experience you just can't find on tablets -- but at a cost. Likewise, the Fire tablets are more affordable -- and technically offer more features than e-readers. But as they're not geared specifically for reading, the experience isn't quite as good. Regardless of your choice, using Amazon's conversion tools and third-party tools will allow you to read or view a wide range of files on either device. By determining how you plan to use your e-reader or tablet, you can pick a device that will meet your needs and ensure you enjoy your new purchase for years to come. P.S. If you don't need easy access to Amazon's massive e-book collection -- or don't mind converting the books to read them on another device -- there's a range of comparable e-readers and tablets available from other manufacturers. While Amazon is one of the biggest names in the industry, they're far from the only option. How & Where to Buy the Amazon Kindle in the UK?